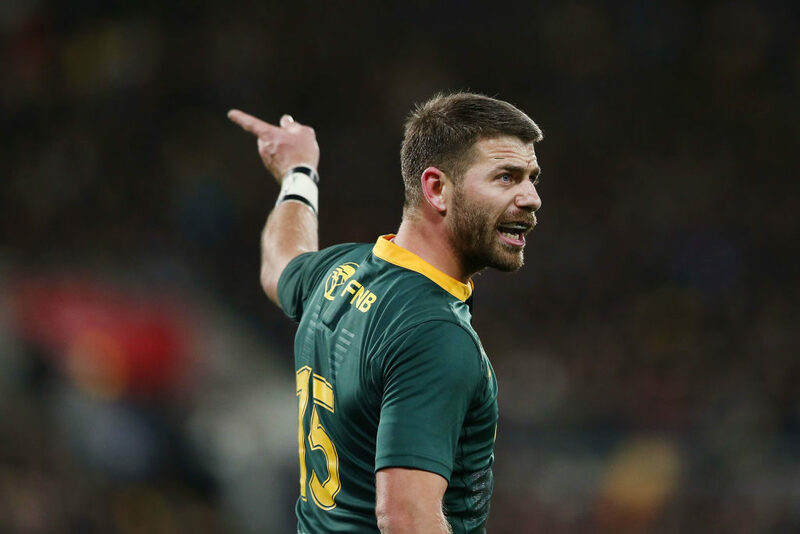 All six returning overseas-based Springboks have been included in the match 23 for Saturday’s Test against France in Paris. They were all unavailable for last week’s game at Twickenham as it fell outside World Rugby’s international window. Fullback Willie le Roux (Wasps), scrumhalf Faf de Klerk (Sale Sharks) and lock Franco Mostert (Gloucester) have come into the starting XV for Damian Willemse, Ivan van Zyl and the injured Eben Etzebeth respectively, with Willemse and Van Zyl both falling out of the match-day squad. Prop Vincent Koch (Saracens), flank Francois Louw (Bath) and wing Cheslin Kolbe (Toulouse) have been included on the Bok bench, at the expense of Wilco Louw, Lood de Jager and André Esterhuizen respectively. Pieter-Steph du Toit will once again start in the second row, with coach Rassie Erasmus opting to keep Duane Vermeulen on the blindside flank and Warren Whiteley at No 8.